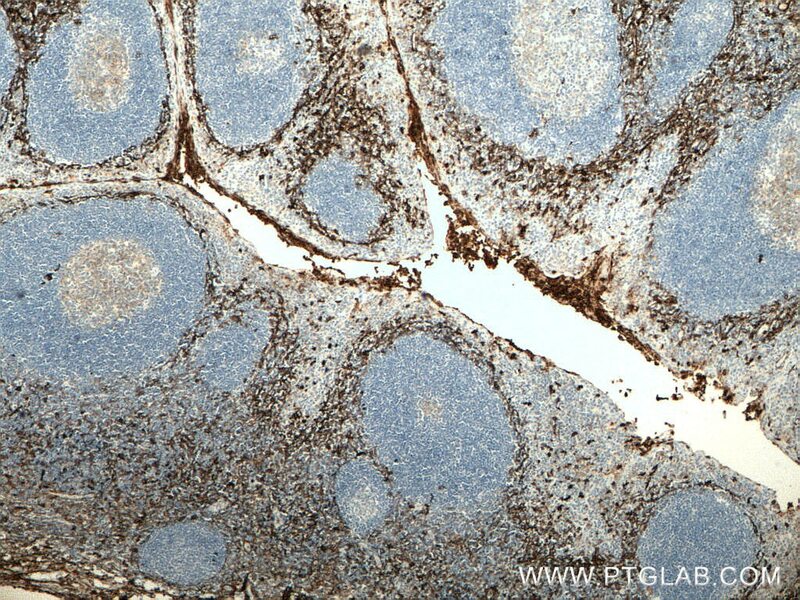 Immunohistochemical analysis of paraffin-embedded human tonsillitis tissue slide using 66211-1-Ig (CD13 antibody) at dilution of 1:5000 (under 10x lens) heat mediated antigen retrieved with Tris-EDTA buffer(pH9). 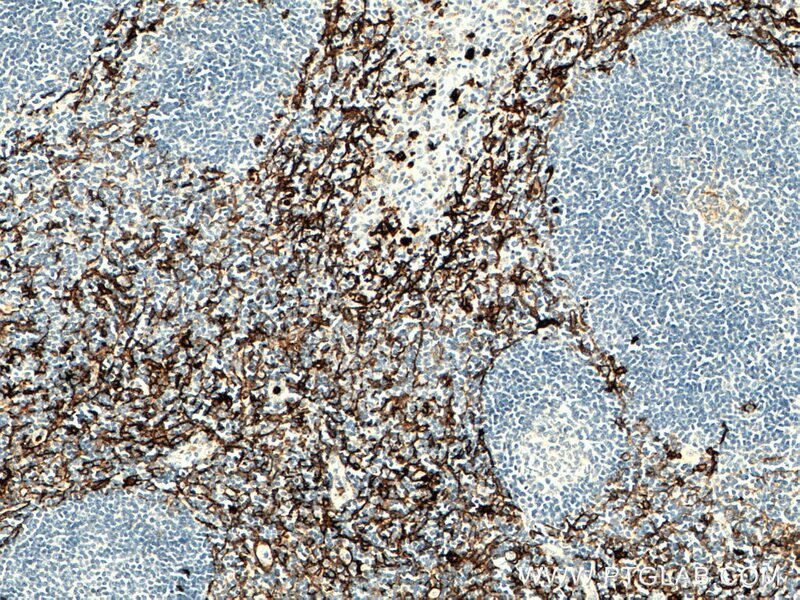 Immunohistochemical analysis of paraffin-embedded human tonsillitis tissue slide using 66211-1-Ig (CD13 antibody) at dilution of 1:5000 (under 40x lens) heat mediated antigen retrieved with Tris-EDTA buffer(pH9). 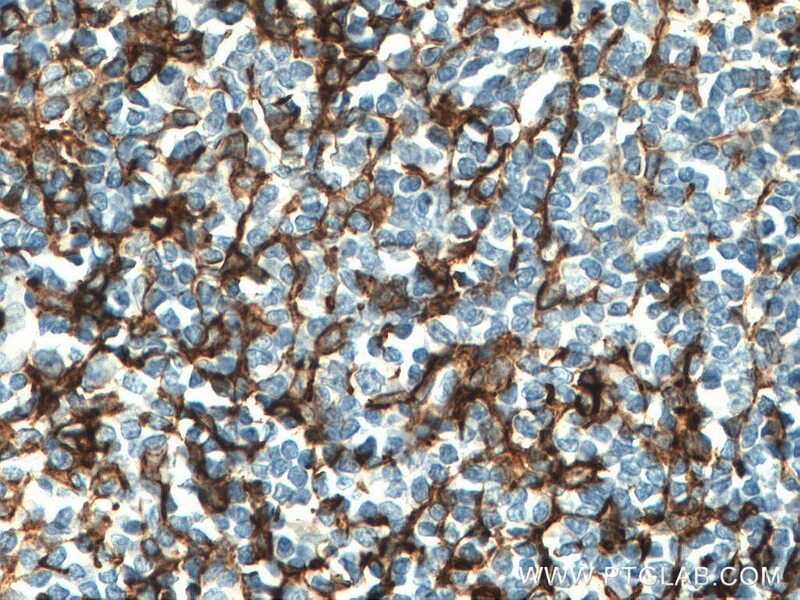 Immunohistochemical analysis of paraffin-embedded human tonsillitis tissue slide using 66211-1-Ig (CD13 antibody) at dilution of 1:5000 (under 4x lens) heat mediated antigen retrieved with Tris-EDTA buffer(pH9). 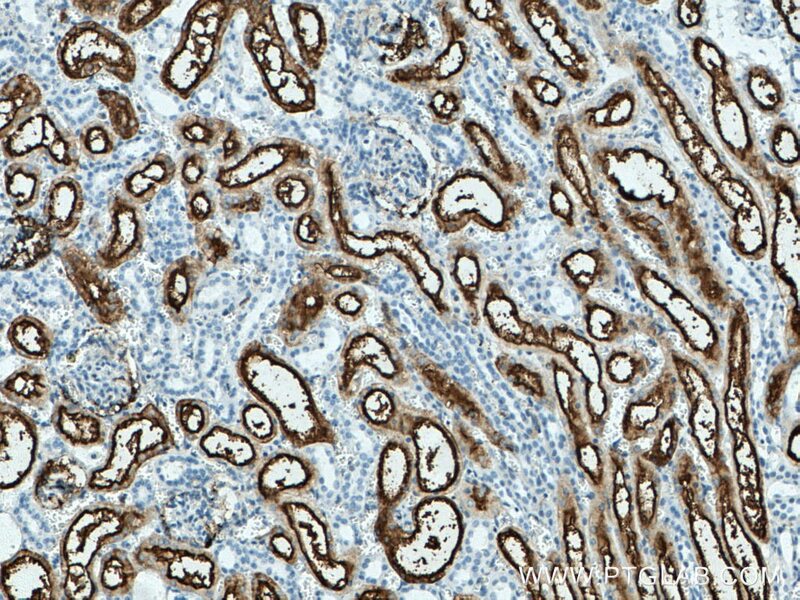 Liver-enriched activator protein 1 as an isoform of CCAAT/enhancer-binding protein beta suppresses stem cell features of hepatocellular carcinoma. RACK1 Promotes Self-Renewal and Chemoresistance of Cancer Stem Cells in Human Hepatocellular Carcinoma through Stabilizing Nanog. 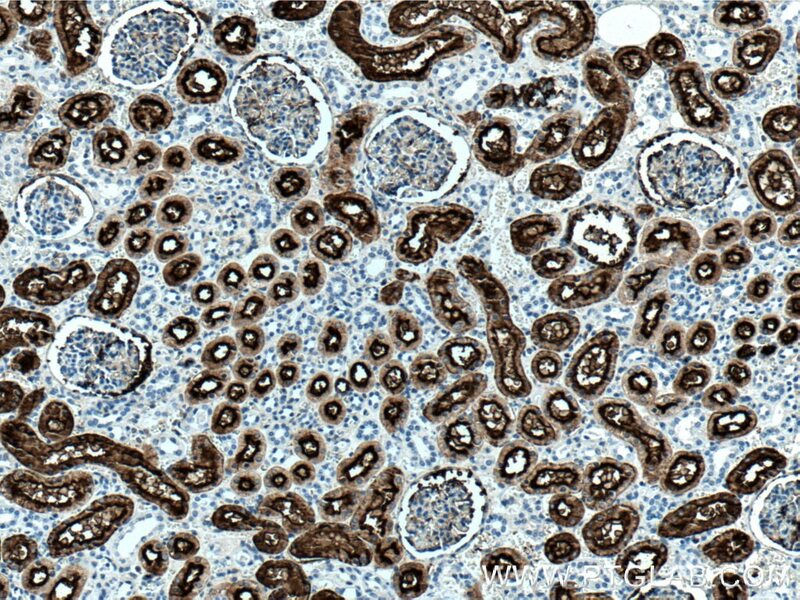 Immunohistochemical analysis of paraffin-embedded human kidney tissue slide using 66211-1-Ig (CD13 antibody) at dilution of 1:5000 (under 10x lens) heat mediated antigen retrieved with Tris-EDTA buffer(pH9). 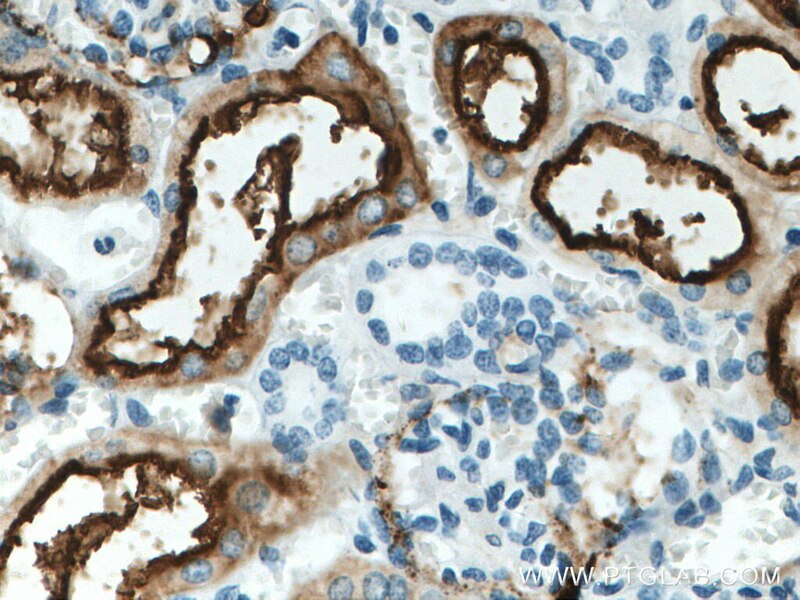 Immunohistochemical analysis of paraffin-embedded human kidney tissue slide using 66211-1-Ig (CD13 antibody) at dilution of 1:5000 (under 40x lens) heat mediated antigen retrieved with Tris-EDTA buffer(pH9). 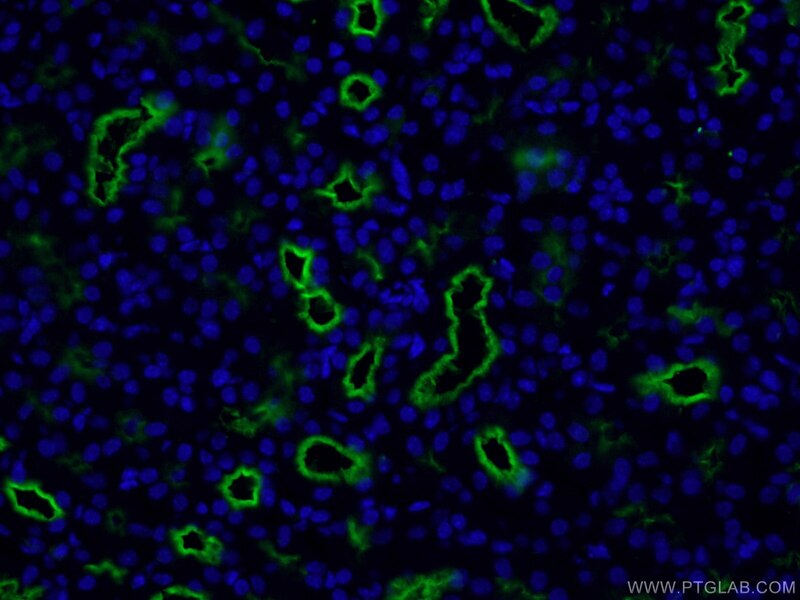 Immunohistochemical analysis of paraffin-embedded human kidney tissue slide using 66211-1-Ig (CD13 antibody) at dilution of 1:1500 (under 10x lens) heat mediated antigen retrieved with Tris-EDTA buffer(pH9). 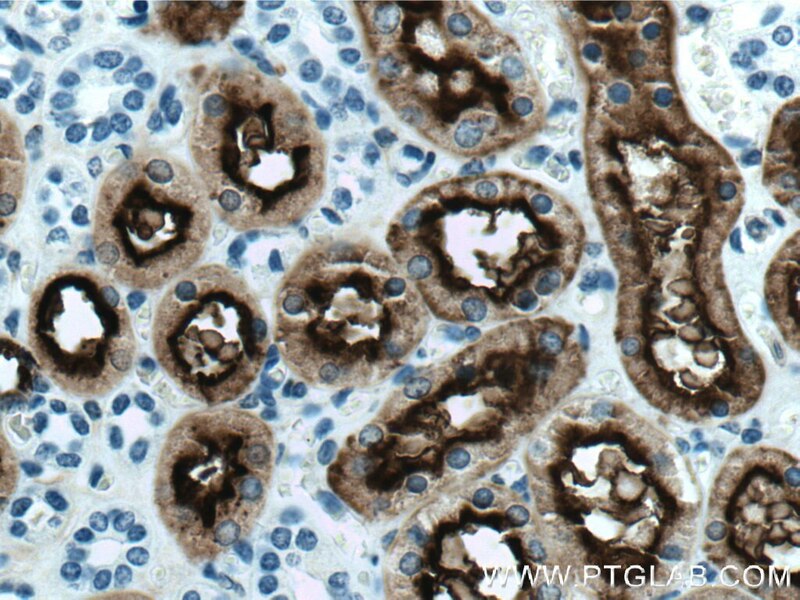 Immunohistochemical analysis of paraffin-embedded human kidney tissue slide using 66211-1-Ig (CD13 antibody) at dilution of 1:1500 (under 40x lens) heat mediated antigen retrieved with Tris-EDTA buffer(pH9).